For the first weekend of March, 7 Otters made the long journey out to the Welsh National Pool in Swansea, the venue for this year’s British Masters Championships in June, to compete in the Swim Wales Open Masters 2019. After a grey and rainy, but very successful, 2 days, the small team brought a total of 20 medals back to London. Wade Rimbach took home 2 gold medals for both his 50m & 100m butterfly, as did Simon Williams for his 50m freestyle. Chris Morgan almost had a clean sweep, taking home 5 gold medals out of 6, as well as a silver in the 100m breaststroke. Catherine Demont single-handedly represented Otter’s female side in her first meet since undergoing knee surgery last summer, taking home a bronze medal in the 100m freestyle & a gold medal in the 100m butterfly, and Caspar Stops achieved 3 medal winning places in his 4 races, in the 200m individual medley, 50m butterfly & the 50m freestyle. Lastly, Pip Bennett won first place for the 1500m freestyle, the result of which contributed to the British Championships titles this year. A strong start to the season, and we look forward to being back in June! 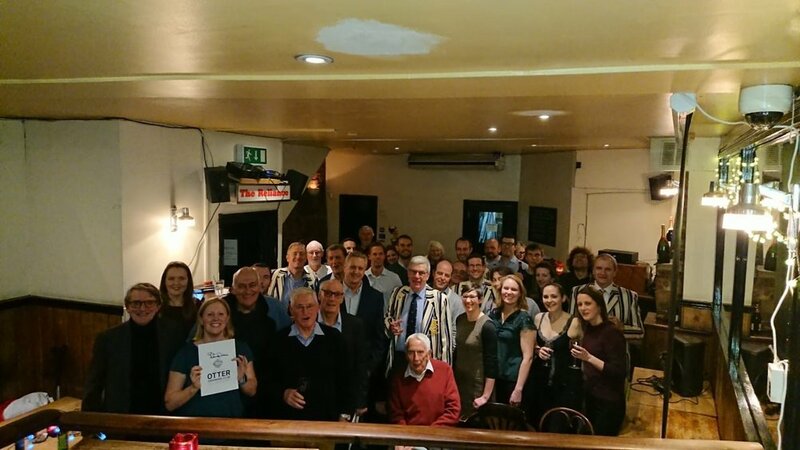 2019 is a year of celebration for both Otter Swimming Club and Swim England as they mark their 150th anniversaries. One of the highlights of the year will be a unique team gala event at the London Aquatic Centre on Sunday 14 July which provides an opportunity for Masters swimmers all over the country to participate in these celebrations. Otter has secured sole use of the main Olympic competition pool in London for a fun, informal gala which will include relay and individual swimming races. The teams will comprise many different Masters clubs including some of our traditional rivals (and friends!) such as Spencer, Barnet and Teddington. It is a fantastic opportunity not only to race in the Olympic pool but to join in the fun and celebrate the camaraderie and longevity of masters swimming. Otter is putting together a programme to include a mixture of current and historic events which we hope will feature the plunge as well as some old English backstroke and novelty relays. Any past and present Otter swimmers who would like to be involved should email us at otter150gala@gmail.com. Please save the date now! 2019 represents a significant milestone for Otter and we would be delighted if you would celebrate with us by supporting this special event. When: Sunday 14 July 2019. Warm-up at 10am with racing scheduled to finish at 2pm at the latest, with socialising to follow! A gathering of “Mature” (i.e. older) Otters, and guests took place on February 1st for their annual post-Christmas dinner. For this sesquicentennial year it was upgraded to a black tie event at the Lansdowne Club, Mayfair. 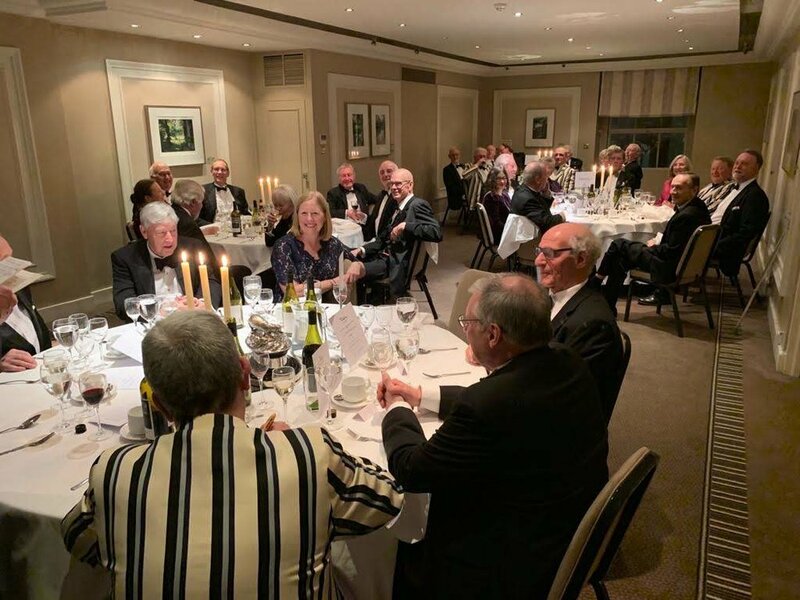 A total of well over a thousand years of membership was present, and it was attended by all four Past Presidents and the widow of Past President and Club doyen Bob Burn; also Dennis Warnford-Davis - at age 90, the longest serving Club member (joined in 1946). 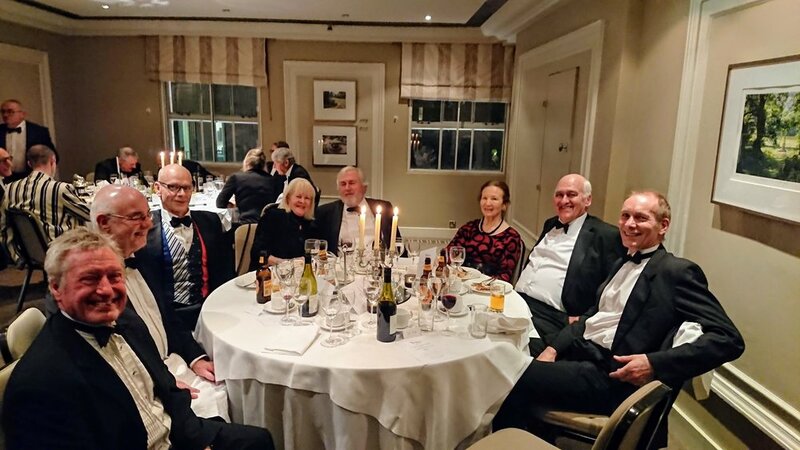 The main guest (Kelvin Juba, former Otter coach and swimming luminary) was stuck in deep snow in Somerset, but this did not inhibit a convivial evening in traditional Otter-style. All members should receive a printed copy of the Otter History 150th Anniversary Report in the post this week. Written by James Stewart and edited by Cat Hasnain, this is an excellent update to the Club History written by John Goodbody to celebrate the club’s 125th Anniversary in 1994. The last weekend of October saw the annual "Masters Short Course Nationals" held at Ponds Forge National Sports Centre in Sheffield, where 29 Otters competed and returned with an impressive total of 68 medals (17 Gold, 27 Silver, 24 Bronze).